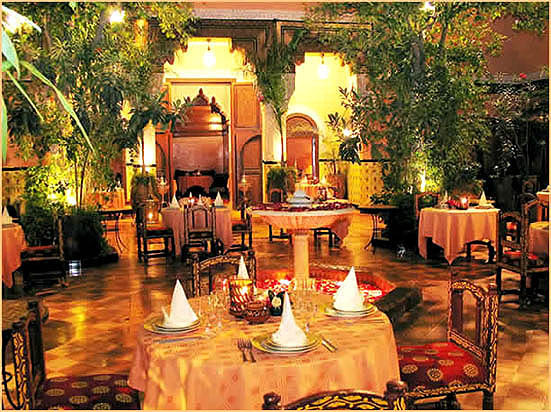 This restaurant is located in the heart of old medina where the Djema El Fna Square connects the historic monuments of Marrakesh. The riad was originally build in the 1800s and later restored in the early 30s by the El Glaoul family. Much of the elements from the first renovation are still apparent today: the wall tiling and fountain, and ceiling of cedar, for example.